I came across this years ago when reading Hodge’s The Confession of Faith, a commentary on the Westminster Confession of Faith. Note: he wrote this in a commentary on a confession of faith. Since I’m currently putting together SS material on the Westminster Standards I saw the red ink underlining and exclamation points in the margin. John Calvin expresses similar sentiments in his chapter on The Power of the Church in The Institutes of the Christian Religion (1541). I decided to run an experiment. I put it on my FB page, and in a closed group I belong to connected to Calvinism. I was curious if there would be any difference in responses. On my FB page, the response was overwhelmingly positive. There were a few questions, but no big deal. In the group, it was overwhelmingly negative. There were a number of misinterpretations of the quote. People were fairly unreasonable. I know, shocking conduct on the internet. We see an avalanche of erroneous assumptions, worse-case scenarios and oddities marshaled to reject Hodge’s premise. What does Hodge mean? What doesn’t he mean? Hodge is writing a commentary on the Westminster Confession of Faith. He believes in the use of Confessions and Creeds. He believes churches should have and use a Confession of Faith. He held to the Westminster Confession. So, Hodge is NOT arguing that churches shouldn’t have a confession. Hodge recognizes the distinction between members and officers. Members are held to a higher standard. He is speaking of the Confession, not extra-biblical conditions (keep reading). The Confession must be accepted, and taught, by the leadership of the church. What the quote is saying, in part, is that holding to (subscription) the Confession (or any confession) should not be a requirement of membership. 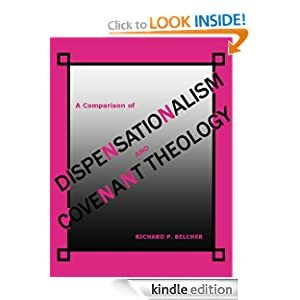 There are some denominations, wanting to limit doctrinal controversy. I used to be a pastor in the ARP and the membership questions included: “Do you accept the doctrines and principles of the Associate Reformed Presbyterian Church, for far as you understand them, as agreeable to and founded on the Word of God?” A confusing qualifier to be sure. The URC requires membership subscribe to the Three Forms of Membership. I was surprised upon joining the PCA that there was no similar vow. Many wish there was one, but I tend to think there shouldn’t be. This does not mean that Hodge didn’t think members didn’t have to believe anything. They had to believe anything necessary for saving faith. The Westminster Confession includes things necessary for saving faith, but has far more in there. The additional topics are for our well-being rather than our salvation. We should require faith in the Lord Jesus Christ as God incarnate & part of the Trinity, who died and rose again. We should also require repentance as well. And baptism as included in the Great Commission. In other words, as far as we can tell, comunicate members should be Christians. The other thing Hodge is (may be) saying is that membership should not bind the conscience in any way not required for salvation. Some church membership vows include abstinence from alcohol, smoking or dancing. These are not requirements for salvation (or sanctification). If you think it wise not to drink alcohol, or dance or have the occasional cigar, you are able and free to make that decision for yourself. What you are not free to do is to bind the conscience of others to the same extra-biblical command. No church is free to so bind the conscience of its members. The doctrine of Christian Freedom needs to be taught in churches so members won’t fight over these matters (like the discussions I’d had as a young Christian with people who hated Christian rock, or secular music). You don’t resolve the argument biblically by binding consciences. “So you won’t fight about a beer with your pizza, we’ll just prohibit drinking altogether.” Too many churches take this very route and sin against God and their members. Back to Confessions. Church members should know that the church has a confession, and that the teaching of the church will conform to that confession. I cover this in our membership class. I give them a copy of the Westminster Standards. Some members will already agree with the Confession. That’s great! But I hope that many members are younger Christians. We are not a Reformed refuge where you need the secret password (John Calvin Owen & Newton). I see holding to the Confession as one of the goals of my teaching. I want people to move toward the Confession, understand it better and increasingly affirm it as a summary of Scripture. We can’t demand that as a condition of membership, however. We should never say to a Christian, you can’t be a member here. We may say, this is what we teach. If you are willing to discover more about this great. But if you fight about it, this may not be where your membership should be. Just as we offer Christ’s Table, this is Christ’s church. We may be Presbyterians, but can’t restrict membership to Presbyterians. I want people to grow in & into their faith in my congregation. If you are like me your experience with and knowledge of Eastern Orthodoxy is limited. I grew up Catholic so I understand Roman Catholicism. To many Protestants the Eastern Church is quite mysterious. Rare are the books by Protestants about Eastern Orthodoxy. Robert Letham has written a good book to help people like me understand our brothers and sisters from the East. In this day, with increased persecution in places like Iraq and Syria we hear more about Eastern Orthodoxy. The vast majority of them are not Protestant but either Catholic or Eastern Orthodox. Letham’s book, Through Western Eyes, is not a polemical book. His purpose is not to expose the errors of Eastern Orthodoxy. He does compare and contrast its teaching on various doctrines with both Roman Catholicism and Reformed Theology. Why just Reformed Theology (and a bit of Luthernism)? Like Roman Catholicism it is a confessional faith. Much of evangelicalism shuns creeds and confessions therefore exhibiting a wide variety of beliefs. Letham himself also comes from a Reformed perspective and therefore compares it to what he knows and loves best. Letham structures the book in 3 sections: history, theology and evaluation. The third section is not very long. In it he seeks to point out areas where we could learn from them, where they could learn from us, gross misunderstanding and divergence. The section on theology spends much of its pages dealing with the ecumenical councils. How they do theology is quite different than how we have done theology. Since the Scholastics and particularly since the Enlightenment theology in the West has been done in the universities, and not necessarily in the church. There have been numerous confessions and catechisms to lay out theology as well as many systematic theology books. Theology in the Eastern Church is grounded on the Councils (which we also affirm for the most part), communicated in their liturgy and is done mostly by church men: pastors and bishops. Their dependence on the creeds reflect their understanding of polity: there is no hierarchical structure. The Patriarchs do not function like archbishops or the Pope. How their theology developed is interesting, at least to me. In this barren wasteland of books on the Trinity there are only a few oases out there. If you believe Michael Reeves, and I suspect you should, this is thanks to Schleiermacher who basically treated the Trinity as extraneous to Christianity. In Michael Reeves’ Delighting in the Trinity: An Introduction to the Christian Faith he treats the Trinity as the hub upon which all of Christianity turns. That is part of what makes this particular volume on the Trinity unique. He explicitly states and develops this as a steady drumbeat in the book. In part, the book is an apologetic for Christianity in general and the Trinity in particular. He spends some time examining what happens if you don’t have a Trinity, what does that mean about God. To put it simply, God is not love. He is wanting a creation, if he wants a creation that serves him. But if God is love, and there are more than 3 persons in this eternal community of love we understand creation (and redemption) as an overflow of the love they have for one another. This sets Christianity into a different light, a greater light. For instance, love is the motive for the mission of God. I am currently reading a book on that subject and the author of this otherwise good book seems to neglect this as the reason. He’s not seeing the mission as the Father sending the Son to adopt more children, but more a Creator wanting to be obeyed. This focus on God as loving community helps to clear the air of many misconceptions and present a more winsome Christianity. For instance, in the last chapter he explores how this focus influences how we view various attributes of God. God’s holiness, for instance, is that he is separate from us in that he loves. In Leviticus 19, he reminds us, that the call to be holy, or perfect, as he is is surrounded by the command to love your neighbor as yourself and explanations of what that looks like (caring for the poor, for instance). So our holiness is not to be mere obedience. Our holiness is to be a love that reaches out to others as God has reached out to us in order to meet the needs of others. Oh, there is obedience but as Jesus said in John’s Gospel this is because love Him who first loved us.